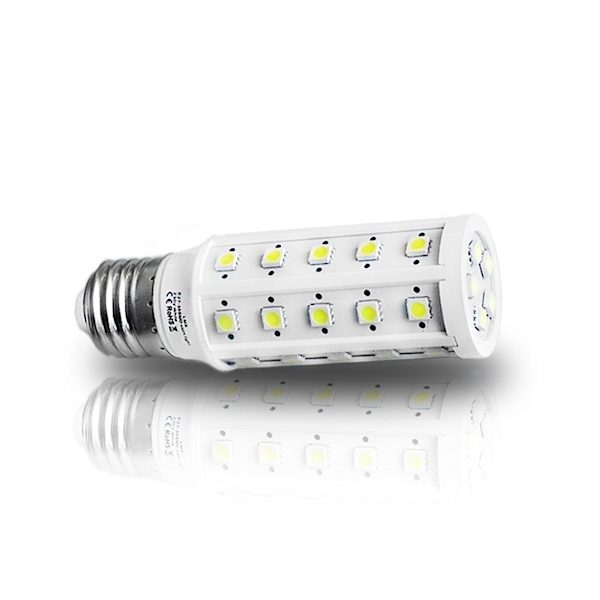 The LED Corn LMS E27 35 SMD 6.5 W Warm White belongs to a new generation bulbs LED (Lighting Emitting Diode). The product is economic, environmentally friendly and it has a lot of applications. You can place the bulb in hotels, restaurants, homes, offices, shops, public buildings. It replaces completely the old halogen lamps. The bulb is easy to be installed and by pressing the switch it ignites immediately. The bulb has long life time and its energy saving is 90%.